The jumping-off point for FCE materials. Download sample materials for the new exam from this page. This site is for the 2014 exam, but most task types in Use of English, Listening and Reading are valid for 2015. Extensive advice and examples for the exam. Read a pass level TV review here. Useful langauge for reviews is here. A CAE-level film review is here. A useful article with some typical errors is linked here. 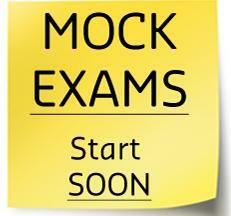 See our Exam Practice Page for links here. A word list for Word Formation is here. These links are repeated in the Exam Hub. Visit this site for extra reading practice exercises. Head for the tab next to this one - First Speaking. Click on the Listening tab above for a range of listening practice exercises. Search online for more. Look for this logo to find exercises to help you practice what you need for the exam.